Subscribing to the adage that 'less is more', Karen Marie Garrett has released an EP album consisting of five new compositions- her first release of new music in eight years. I was a great fan of her previous two releases ('Allure of Sanctuary' and 'It's About the Rose')- both Piano-Heaven award winners- so I was naturally curious to hear what this indisputably gifted composer had up her sleeve on this occasion. The CD opens with my favourite track, 'Abbie Marie'. The combination of piano and cello has always been a match made in heaven for me, and this beautiful track amply illustrates the special relationship between the two instruments. It features the very talented Emil Miland on cello. 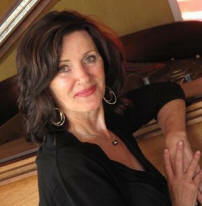 Karen's piano playing is always gentle yet rhythmic, and oh-so-appealing. It is a stunning piece, and one that I could happily listen to time and time again. 'It's About Love', the title track, again features Karen and Emil working together to create another masterful composition. The music is sombre at times, yet exudes beauty. The music is heart-felt, and played with such feeling and intimacy. Track three is entitled 'Deschutes River Sunrise'. Karen is accompanied by the legendary Nancy Rumbel on oboe, and Emil returns to add considerable passion to the piece with her cello. It is another lovely track. The only solo piano piece, 'Another Time', is a highlight. Karen's signature style of playing is none more evident than here. At times gentle, at others majestic and uplifting, the piece is a joy to listen to from start to finish. The EP album concludes with 'Mother's Prayer'. Exquisite piano playing takes centre-stage for the opening half, and is then accompanied by Desiree Goyette with wordless vocals. I enjoyed the addition of the human voice, but I would also love to hear this as a piano-solo. 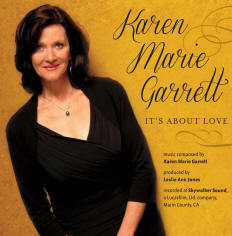 Karen Marie Garrett has produced an outstanding EP album which consistently hits the mark. 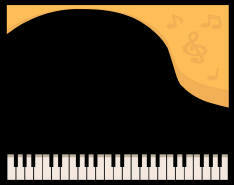 She has had an enforced absence from the composing scene due to a small heart attack and a serious condition called carpal tunnel syndrome that rendered her hands unable to play the piano properly. However, any lingering doubts that the composer may have lost her touch are dispelled from the opening notes of the first track, and it soon becomes apparent there there is a certain maturity and sophistication about this album. The music is refined and classy without being pompous. The collaboration between the composer and the other musicians works wonders, and the recording quality is top-notch. 'It's About Love' was recorded at the famous Skywalker Sound Studios in California, and was produced by Leslie Ann Jones. It is worth noting that Karen has found true love again, and I rather suspect that the title alludes to this. I would imagine also the tracks have been heavily influenced by this happy event. With 'It's About Love', each track is a standout, and the album heralds a most welcome return to the music scene for this exceptionally talented composer. This reviewer certainly hopes there is plenty more to come from the KMG stable! I give 'It's About Love' my highest recommendation. "Heartfelt, and played with such feeling and intimacy... each track is a standout."